Grab, Southeast Asia’s leading ride-hailing platform, wants to make December a little merrier for everyone through its latest regional donation campaign. Called Delivering Happyness, the campaign is calling for members of public to get into the spirit of year-end giving. All they have to do is to round up and pack pre-loved (or new!) books, stationery and toys – and then simply book a Grab to collect them from 12 to 24 December. Grab aims to collect 20,000 items across Southeast Asia, which will be delivered to 7,000 underprivileged kids in Southeast Asia. “While people may wish to help the less fortunate, they often don’t know how, or where to start. 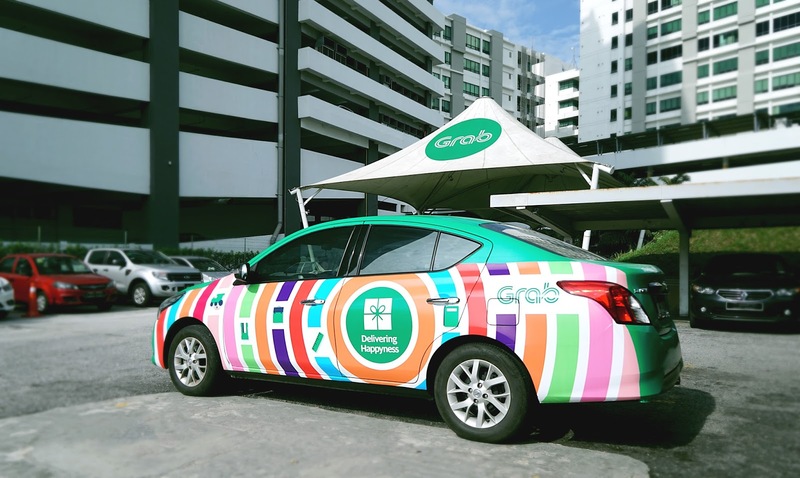 As part of Grab’s commitment to improving lives in Southeast Asia, we’re using the Grab app to make giving as easy as possible – and in the process, deliver happiness to the children in our communities who need it most,” said Cheryl Goh, VP of Marketing, Grab. Grab has partnered with non-profit organisations – in all six countries that Grab operates in: Singapore, Indonesia, the Philippines, Malaysia, Thailand and Vietnam – that focus on helping children in need. Each tackle issues unique to each country, such as helping to re-equip schools in the Philippines that were affected by a recent storm, or giving books, stationery and toys to kids in rural villages in Vietnam. In Malaysia, Grab is partnering with NGOHub, an online platform that assists the non-profit sector in Malaysia through the power of volunteering, networking, grant opportunities and events. NGOHub runs NGO Academy, which is a series of events to impart skills, build capacity and encourage collaboration among NGOs. As such, they form partnerships with different stakeholders including government agencies, the private sector and volunteers to support the work of NGOs in Malaysia to make better and more lasting impact. NGOHub was founded by SOLS 24/7 in partnership with 7-Eleven Malaysia through its Community Cares Fund. It’s easy for time-strapped people to donate their books, stationery and toys. 1. Start packing your pre-loved books, stationery and toys today. 2. From 12 to 24 December, donors can use the Grab app to request a Grab driver who will pick up the items. Select the ‘Delivering Happyness’ fleet icon. Just like booking a regular ride, donors need only indicate their pick-up location and time. Grab will sponsor the cost of the collection. 3. Pack your items and pass them to the Grab driver on the agreed date and time. Delivering Happyness is part of Grab’s commitment to improve lives in Southeast Asia. It is an extension of a similar campaign that was rolled out in 2013 in Malaysia to deliver 2,000 pre-loved books and toys to rural libraries. The campaign was a simple and honest effort to match donors to drivers. More details on Delivering Happyness is available at [www.grab.com/my/deliveringhappyness/]. Taurus Energy Drink is Halal Energy Drink!